The politics of select baseball drives me crazy. 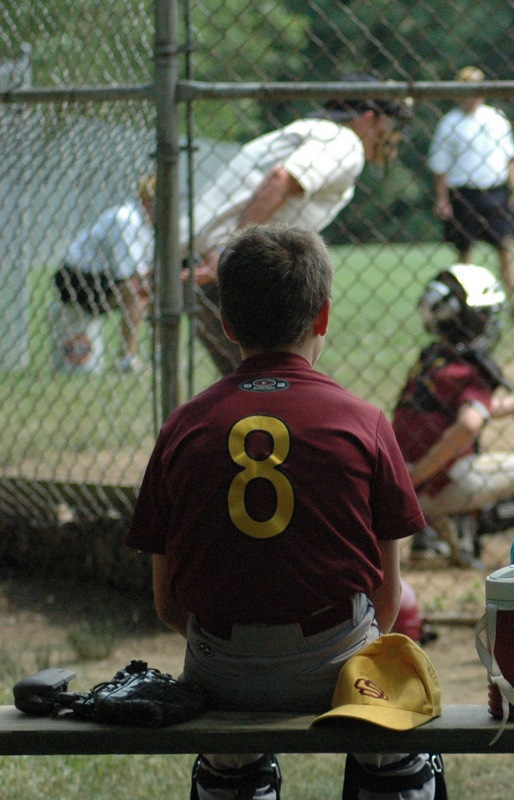 Last night, I had a conversation with a frustrated dad regarding U11 select baseball. He is rightfully frustrated with the politics of baseball. Here is his story. His son played on a select baseball team last spring (Team A). He told me that his son was a not a superstar, but was a good player on Team A. Team A did well in the lowest division of the AABC league. After the season was over, the coach of Team A told the parents of the players that he was going to move the team up to the next competitive division. The parents approved of the move. The coach also told the parents that he was going to keep the team intact. As such, Team A did not schedule a tryout. Both my friend and his son were happy with Team A, so they did not participate in tryouts for any other teams during the tryout period last summer (Late July - Early August). During the tryout period last year, another local team (Team B) discovered that several of their kids were unhappy and were going to leave the team. Team B's best 6 kids remained. The coach of Team B and the coach of Team A are friends. They decided to combine their teams. The cut came after the tryout season - so my friend's kid was left without a team and few if any options. The dad called every coach looking for a spot. The frustrating process took weeks. He has a lead on a team, but is concerned that his son will have to go back to recreational ball. He later found out that the remaining six kids from Team A were the sons of the coaches and assistant coaches, not necessarily the best 6 players. Is this really surprising? 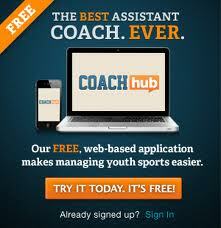 College coaches jump teams and leave players in the lurch without suffering any consequences. On the contrary these "role model" college coaches benefit from reneging on their contracts with universities and breaking their promises to players and their families. The NCAA teaches our youth coaches that commitments do not matter. The coach of Team A is an inconsiderate jerk and a coward. The leadership of the respected club he plays for should have intervened. Bad news: Your friend's son finds out that adults are tools and cowards. Good news: It happened while still on the small field. If he truly loves baseball he can work his way to being a better player. Heroes on the little field very often are done after the 14u year on the big field. Lazy swings get exposed, home run hitters become fly ball hitters. Keep playing and pick up another sport so he is well rounded. I am a coach of 11-12 year old Dixie Youth Ozone league. I am about to embark on coaching Allstars because my team won the league. My league has tried to put bylaws that would prevent politics from taking place. For example, the first round of all star slection each coach will submit 15 players from teams in the league NOT on his team. The kids who receive the most votes move on to the top 15 in the 2nd round. in the 2nd round you can then vote on your kids, and then the top 9 from the 2nd round automatically are on the all star team. The third round was my decision on who the next three pics would be, however if you did not receive a single vote during the first round you are unable to be selected for all stars. This year we went 18-2 and won the league by 5 games. My son is on my team, so lets keep in mind last year at a rules meeting I submitted a proposal to change the all star selection to a statistical based selection, so that there would be no politics at all. This proposal was shot down by over 60 votes. So fast forward to a few days ago. through the 2nd round, I had only one kid from my championship team in that top 9, so when I went to ask about my son, i find out that the other coaches did not give him a single vote. He hit .635 14 home runs, and had an on base percentage of over .700. For the other coaches not to give him at least one vote was beyond me. So my next three picks i chose kids off of my team, who deserved to be all stars, and should have been in the top 9 already based on their stats on the year. When I left out of the room, I was about to resign my post as All star coach over the politics that took place to exclude my son from the team, simply because they are mad that they didn’t win the league. Please don’t think for a second I’m that A**hole coach that shows players up, because I eat breath, and believe in sportsmanship. You play the game the way it is intended, with class. I get home and my son looks at me with bright eyes expecting me to tell him me made the team, and when he realized he would not be getting the news he expected, he asked me, “what did I do wrong? ?” I told him nothing, because he did exactly as I wished because he left it all on the field, and no one can ever take that from him, it was the backroom deals that where made, because I refuse to politic for my son. It is a shame that when a kid is as statistically ahead of the curve for a year, and meant so much to the championship run, that he is left off a team he deserved to be on. I talked it over with my wife, and had almost decided to not coach the team because of this, and my son sees I am upset, asks me if I was still planning on coaching the team. I was honest with him, and told him i was considering resigning because of what happened to him. He then shows just how good of a kid he is and says, “Dad, you worked just as hard as we did this year to win this championship. You would be letting those other coaches win if you resigned as coach. Go as far in this all star tournaments as you can for me. You raised me to keep my head high, and be supportive no matter what. Yes I am very disappointed, but I get to enjoy my summer, and stay cool, while you are out practicing in the heat, so I am good” When he told me this, I was teary eyed, and though to myself ,”wow, this kid is 12 years old with a heart of gold” So after he told me this, i decided to honor his request, and stay on as the coach. So this monday will be the first time in 7 years my son will not be in the seat beside me on our way to baseball practice. It is a bittersweet moment. But he will be just fine. Oh, and yeah, even coaches sons are victims to Politics. Sounds like you have a great son. And you are honorable for continuing to coach. I am not sure I would have coached the team because it takes time away from family. And you are right about one thing at least - your son will be fine especially if he has an attitude like that. The problem with statistics being the measure is no one believes statistics. Each team's scorekeeper scores differently - it can be very subjective. But one thing that is not subjective is HRs - those 14 HRs should have made the other coaches take notice. I am going to pull this comment out and make a post about it. Thanks so much for sharing. In our little league, the All Star Selection process is solely through voting by kids. The kids usually vote for their friends, and this resulted in my son, who has helped his team go on to win games many times over, be left out of the Friendship as well as All Star Games. I know the stats, since I was one of the socrekeepers in the league, and if the selection process had been entirely merit based, my son would most certainly have made it. Kids voting is perhaps the worst way to select an all-star team. The coach or the league is just deflecting the blame. Kids do pick their friends - the best team might not be from the same school or might not be outgoing and friendly - that is not fair. It should be merit based. I first read your article towards the end of our spring season. My 12 year old son was finishing up his very. First season and dreamed of being an Allstate.I tried to encourage him without giving him any false hope. Our coach had only let him pitch once for 2innings all season. I had worked with him all year prior. He made some great grabs in the out field and gave up no hits or walks in his 2innings.his bat was average at best,but he was not afraid to be hit and was a good base runner.I was very shocked and proud when he was asked to try out for our allstar team.our commish had seen his 2innings and even asked him to stay afterwards for the pitcher tryouts. He did not have enough innings to be asked if not for the commish.my son became our starting pitcher, beating out all others. He was the 1st draft. Pick last night for our upcoming fallball season.I am not a coach, nor am I wealthy or connected.I have been asked to help this season as many of the dads and coaches are now gearing up for football. I feel fotunate and blessed to share this experience with my family. We were able to keep many of our weaker players from last spring. I only hope that I can give to them and their families some of what was given to us. My son is a catcher and that is the only position he plays on the teams he has been on. If he were put in any other position he would play outstanding also. My son did not make the tournament team because we were told that the coaches did not know how will he would be able to play any other positions. The kid that did get picked was not even a catcher this year. They did not have enough 9 year olds to make a 9 year old team so they outed the 10 year olds so some 9 year olds could be on the 10 and under team. I have also heard the tournament team mostly is made up of these two coaches kiwanas teams. This is so frustrating! I have reed your post.You talk about baseball game.You also give tips for better baseball game.I am waiting for your next post. Competition is social, not just ablity-based. Make the social sacrifices or GTFO. Tuscany Wedding Photographers at Best of Wedding Photography. Check out the best wedding photographers in your area. I'm starting my story around Lyaxtin Male Enhancement. How can anyone do it? This is part of the new year. Here's how to keep relationship with it working. The results of my survey show that these are the least urgent facts you need to learn when it matches my joke. Would you put money on it? You can have a moment to do this correctly. An attribution is really practical and I've just thought of it as just a clichéd type of thing. Let's give that the old college try. I first got involved in that sticky situation while in high school. You have to have education to be able to use it and you may gather that I'm crazy as loon. This is easy and can be a good way to do that with a flipside.